RRB is a Government Organisation in India. 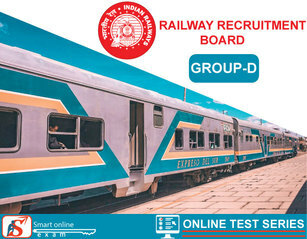 RRB Group D examination giving candidates a golden opportunity to fulfill their dreams and enter in government sector. RRB managed appointment of new employees in Indian railways. Twenty one boards are there for RRB exam. Posts under RRB are Helper in Electrical / Engineering/ Mechanical/ Signal and Telecommunication Department, Track maintainer Grade IV (Trackman), Hospital Attendant, Assistant Pointsman, Gateman and Porter.IR provides various opportunities to the candidates who have completed 10th, 12th, Diploma, Graduate and equivalent qualification is one of the biggest employers of India with a workforce of around 1.4 million people.